A Course Handicap represents the number of strokes needed to play to the level of a scratch golfer (a golfer who generally shoots a score equal to the Course Rating) for a particular course and set of tees. In other words, if your Course Handicap is a 12, you’ll likely shoot about 12 strokes above the Course Rating on that course and set of tees. Generally speaking, you should play to your Course Handicap (net score of even par) about 20% of the time. Once you know the Course Handicap for the course and set of tees you’re playing, you can take your gross score (what you actually shot) and subtract the Course Handicap to get your net score. The slope of the line on this graph (having high school algebra flashbacks?) is used to determine the Slope Rating, which is a measurement of how much more difficult the course plays for all skill levels compared to the Course Rating. The Slope Rating can range from 55 (very easy for all skill levels) to 155 (very difficult compared to the Course Rating), with 113 being the standard Slope Rating. For more information on Course Rating, check out this blog. What’s the difference between a Handicap Index and a Course Handicap? 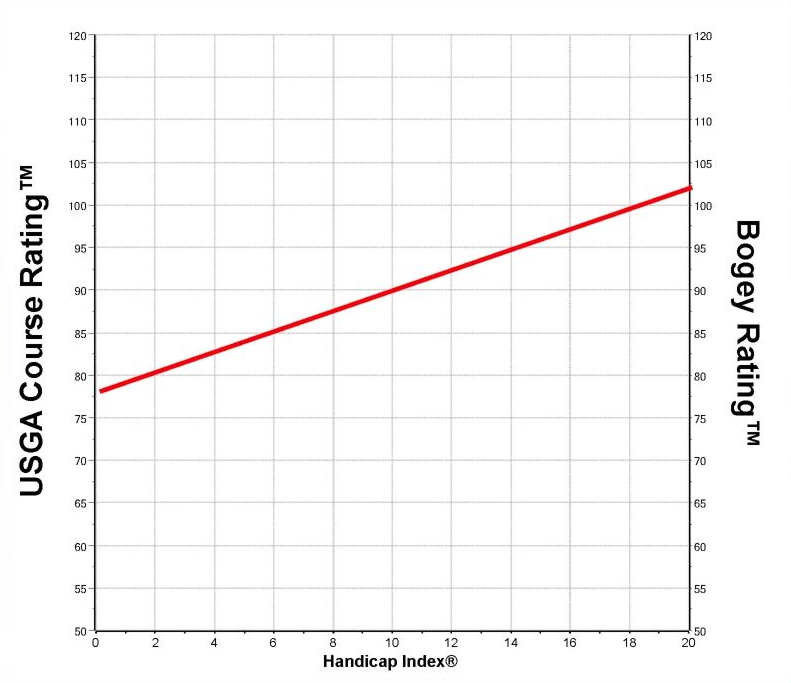 A Handicap Index is a general representation of your potential scoring ability, and is always expressed as a number rounded to one decimal (e.g. 10.4). Your Handicap Index is used to determine your Course Handicap for a specific course and set of tees. Your Course Handicap represents the exact number of strokes to subtract (or add if you have a plus handicap) from your final gross score for the course and set of tees you are playing, and is always expressed as a whole number (e.g. 12). 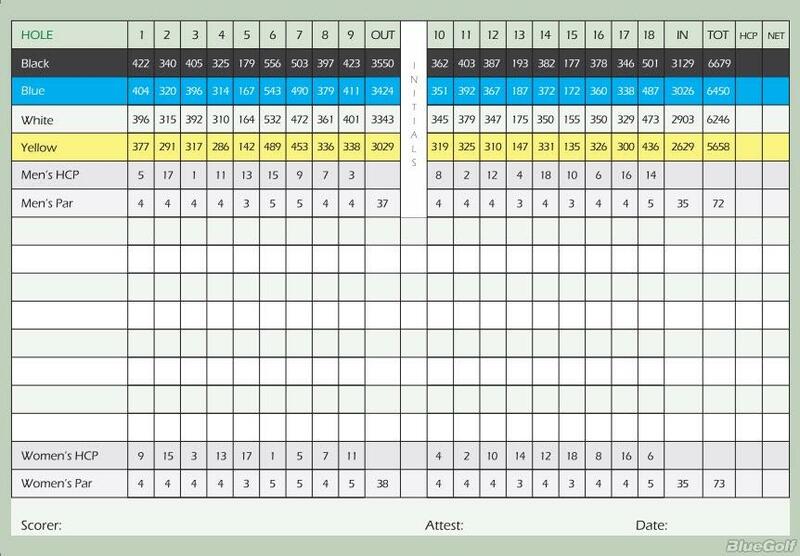 Do I just subtract my Course Handicap from my final gross score or do I apply it on specific holes? If you’re just playing a normal round of golf, it’s usually enough to just know your final net score. However, there are plenty of times when you’ll need to know exactly on which holes to apply extra strokes, such as match play, stableford, or even just playing for skins with your friends. Also, when playing in a handicapped tournament or event, you may see dots on different holes on your scorecard (see the image above). Each dot represents how many extra strokes you’ll receive on a given hole. How do I apply the strokes? Each hole on the course is given a number based on the difficulty, with 1 being the most difficult hole and 18 being the easiest. This is usually found on the scorecard in a row with the heading HCP, generally with specific ratings for men and women. For each hole with a number less than or equal to your Course Handicap, you’ll subtract a stroke from your gross score for that hole to determine your net score. Using the example above, if you score a 5 on a hole numbered 1-13, your net score will be 4. If your Course Handicap is greater than 18, you’ll subtract 1 stroke for every hole, then continue to subtract additional strokes restarting with 1 until you reach your Course Handicap. For example, a Course Handicap of 20 would subtract 2 strokes on holes rated 1 and 2, and 1 stroke on every other hole. You can find the rating for each hole on the course scorecard. I don’t have a Handicap Index. How do I figure out my Course Handicap? You’ll need a Handicap Index in order to calculate your Course Handicap. You can get an official USGA/GHIN Handicap Index by joining a local golf club. 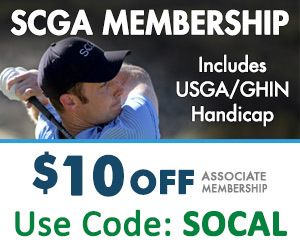 If you’re not sure where to get started, the SCGA provides an Associate Membership, which will automatically place you with a golf club near you so you can start tracking your Handicap Index. Ready to establish your Handicap Index today? Get started here and take $10 off with code GHIN.